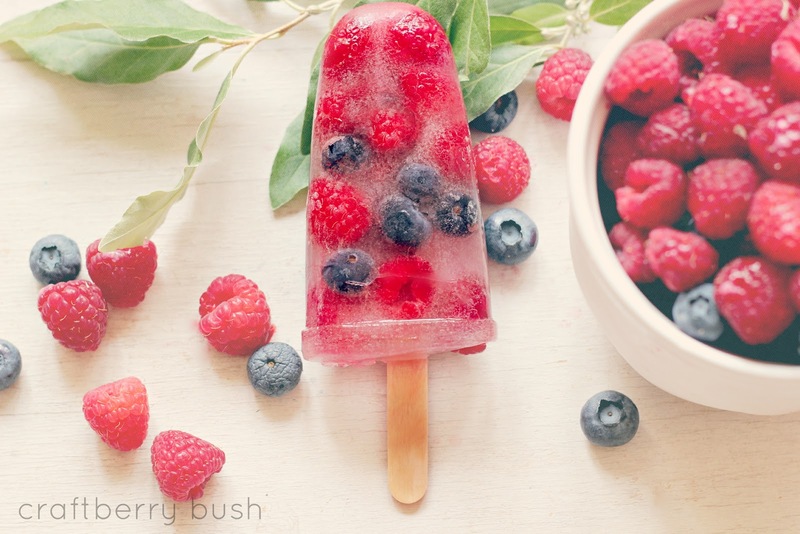 Hello friends – have you been keeping cool? I am not one to complain about the heat and beautiful sunshiny days as I often long for them in the winter. But it has been a little toasty of late, and have I ever mentioned we don’t have AC? It’s our own procrastination that has kept us from getting one as every year we say we’ll make the call and every year the summer slips right through our hands without needing it. But this year is looking like we are going to finally need it. We’re usually out and about every day in the summer as we picnic under the shade of a tree or just take walks along the water so we are seldom stuck at home. 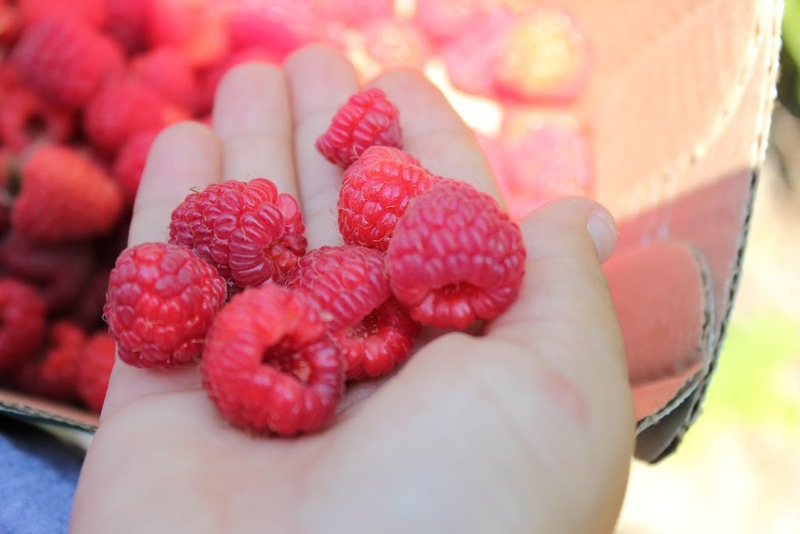 Last week, we ventured into the raspberry fields and picked some delicious berries. If you saw my little video montage, you probably saw some of the images from that day. 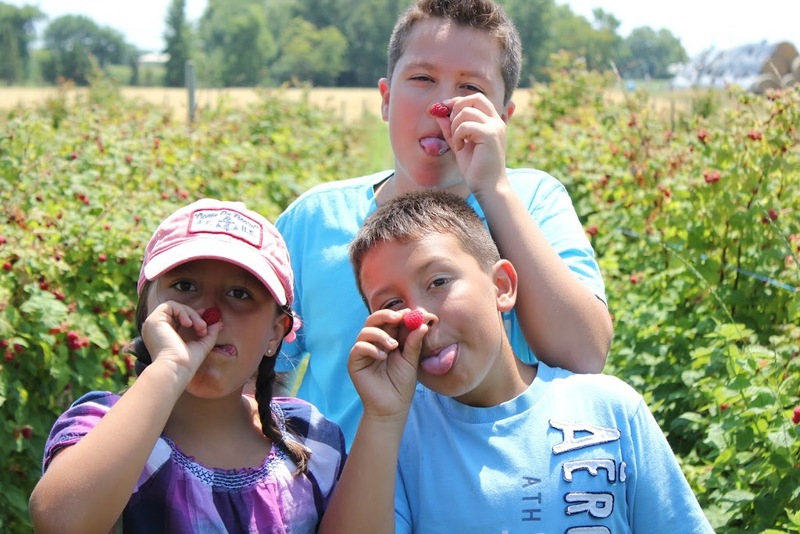 It was our first time going raspberry picking as we usually do the other berries (strawberries and blueberries). Needless to say, it was a lot of fun. 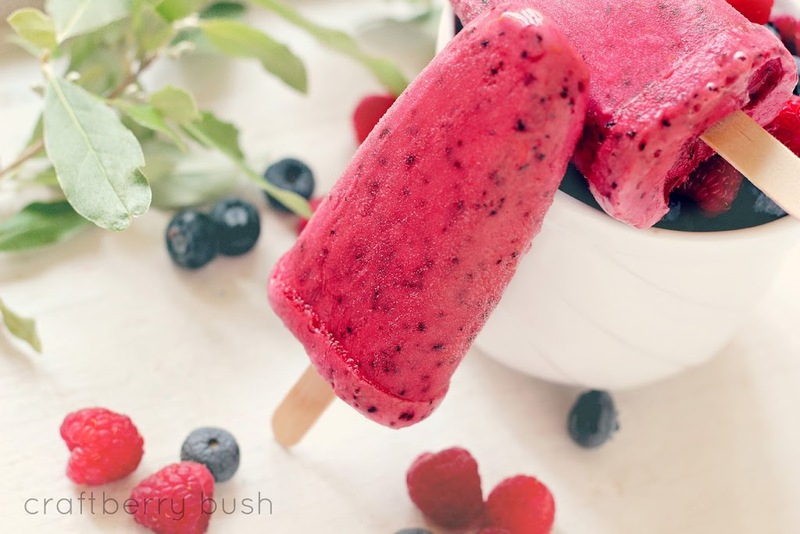 I made this one especially for me by placing flavoured water and putting raw berries in it…yumm. When I say flavoured water, I mean those berry flavoured waters they sell (not rum flavoured, although now that I mention it….). 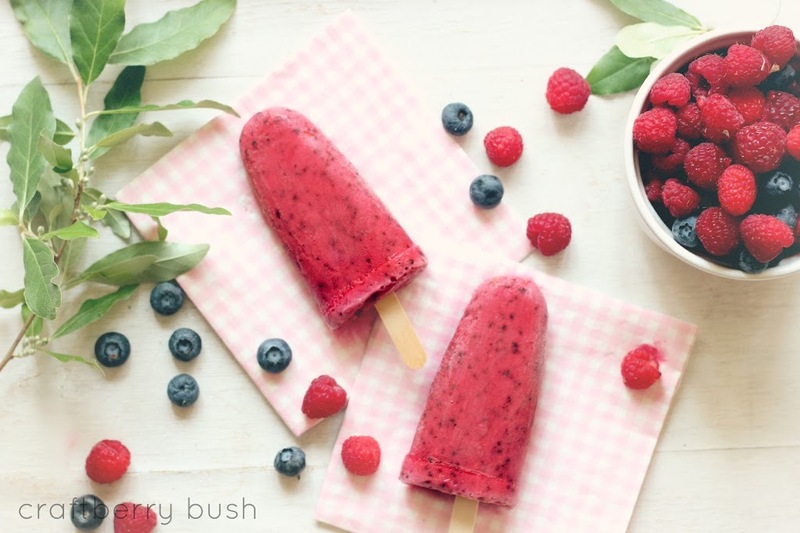 I have actually seen some beautiful grown up ice pops around on Pinterest. How are you coping with this heat? Does it bother you at all? Whoa! 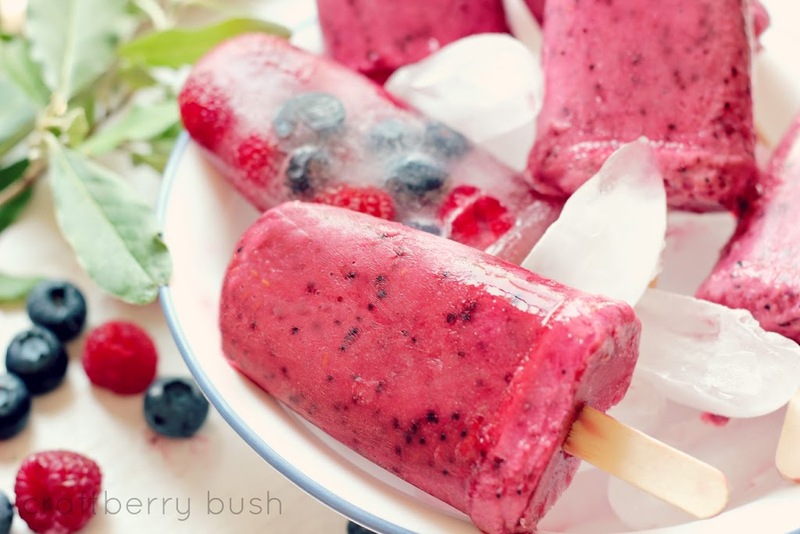 These look so delicious and refreshing. I could really go for one right now! Oh those look soooo yummy! !